Today Is The Day To Spread The Word! | I am JuJu! Today Is The Day To Spread The Word! Today is the official day of the Spread the Word to End the Word campaign. I recently wrote a post about the misuse of the R-word and you can read that post here. Using the word “retard(ed)” in a demeaning way is hurtful to people with intellectual disabilities as well as their families & friends! Just don’t do it! 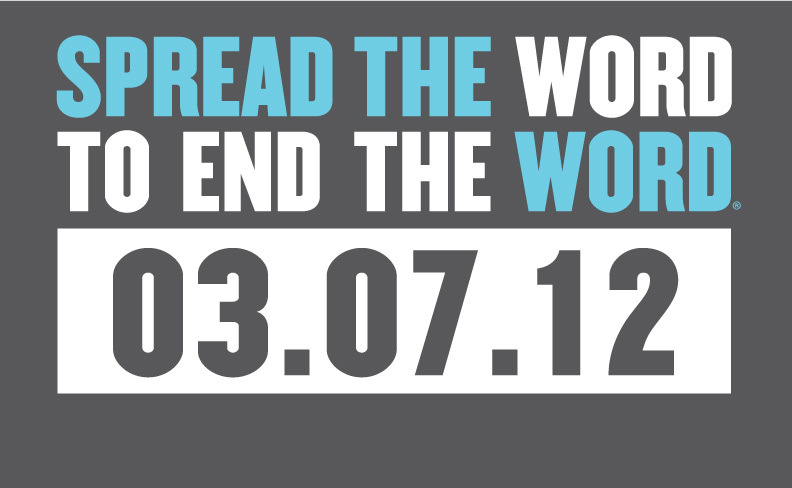 Please go to www.r-word.org and pledge to “Spread the Word to End the Word”! Imagine how powerful our voices can be when we work together! This entry was tagged spread the word to end the word, the r word. Bookmark the permalink. I don’t create many responses, however i did a few searching and wound up here Today Is The Day To Spread The Word! | I am JuJu!. And I actually do have a couple of questions for you if it’s allright. left by brain dead visitors? 😛 And, if you are posting on other places, I would like to follow anything fresh you have to post. Would you list of the complete urls of your public sites like your linkedin profile, Facebook page or twitter feed?